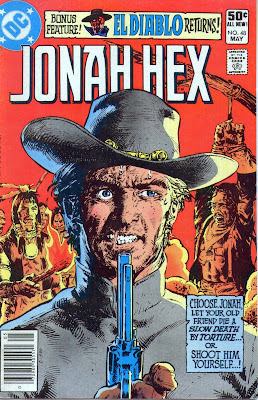 Matching Dragoons: Jonah Hex #48 "The Vulture Creek Massacre!" 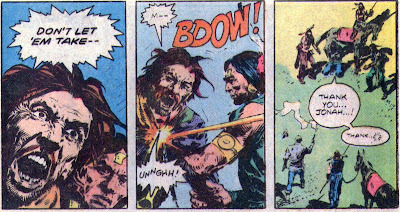 Don't believe her, Jonah, she's just gonna break your heart! 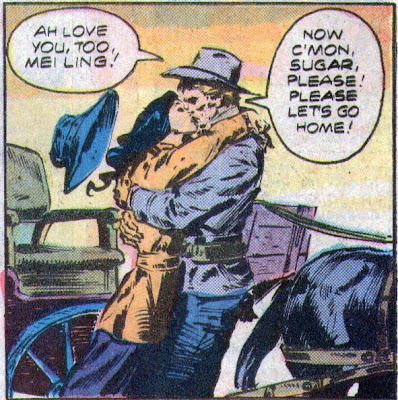 There were a couple of panels where Mei Ling didn't really look Asian, but overall the work is top notch. 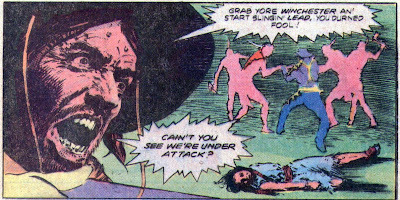 The panel with Graves hallucinating (the one shown) had just enough if an eerie feeling to communicate the idea that what he was seeing wasn't really there.